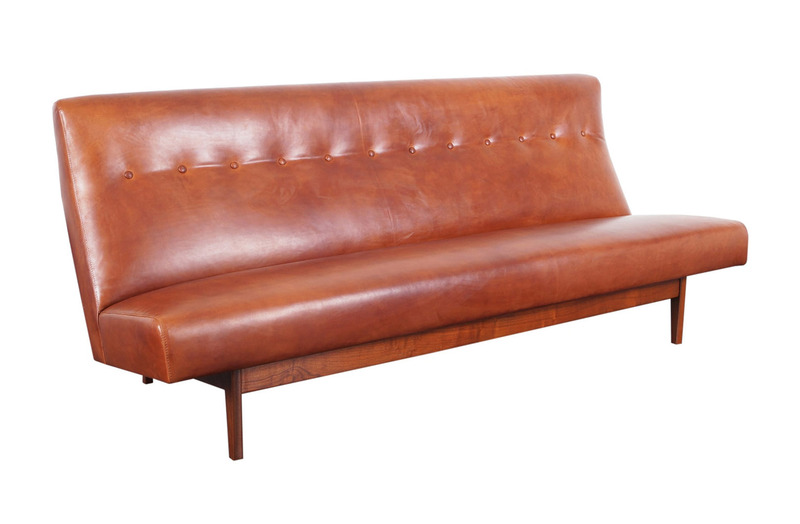 Vintage leather sofa by Jens Risom for Risom Design Inc. Solid walnut frame with exposed support to the back, slab seats and tufted backrest. Newly reupholstered in brown leather.